TRIAD! You came through tonight! Thanks for joining s at Cone Denim Entertainment Center in downtown Greensboro for Q104.1’s “New Stars And Guitars,” presented by OmniSource and Wrangler! It was a truly spectacular a night! Thanks for supporting St. Jude Children’s Research Hospital, and our talented lineup: Carly Pearce, Dylan Scott, Morgan Evans, Jon Langston, and Matt Stell! Check out MEET AND GREET PHOTOS HERE and more photos at the links below!! See yourself in a photo and want the original? Contact adamdavis@iheartmedia.com for information on how to do so! Special thanks to Kathy Miller of One Shot Photography! Michael Ray and Carly Pearce on the red carpet- BEFORE they were a couple! #TBT! Carly interviewed Michael on the ACMs Red Carpet two years ago- long before they got together- and do I detect a bit of foreshadowing?! 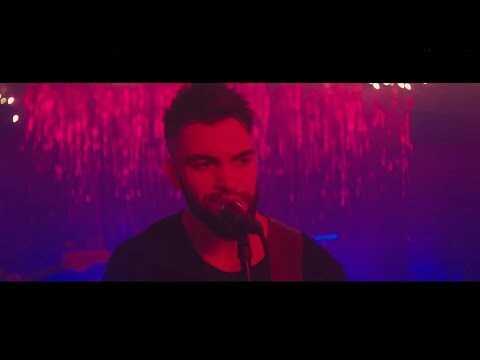 NEW MUSIC: Dylan Scott Releases Video For "You Got Me"